What Are the Infrastructure Requirements for Autonomous Driving? Consumers have also become increasingly interested in autonomous vehicles. 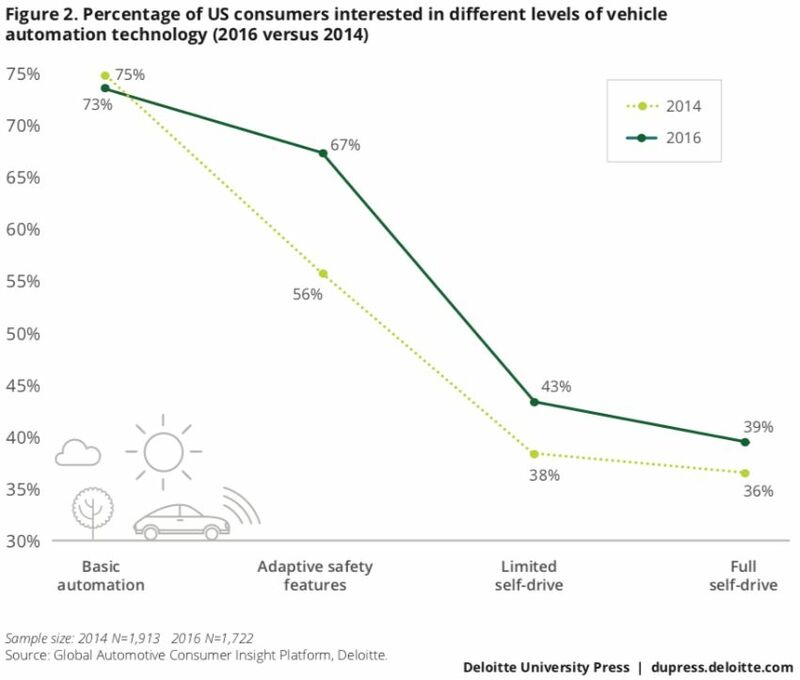 While many are still skeptical of fully self-driving cars (39%), more than two-thirds (67%) are interested in adaptive safety features and nearly half (43%) want limited self-driving capabilities, according to Deloitte. Government regulators have responded with a roadmap for autonomous vehicles and evolving guidance for developing the infrastructure to support them. Many people imagine autonomous vehicles as futuristic cars that don’t require any human intervention. But many technologies already exist that automate certain aspects of driving, although they still require human input. For example, many cars already have features like lane assist and adaptive cruise control. The National Highway Transportation Safety Administration, or NHTSA, recently released its Automated Driving Systems 2.0: A Vision for Safety report that outlines five different types of autonomous vehicles and the associated safety considerations for governments. The vehicle is controlled by the driver, but some driving assist features may be included in the vehicle design. For example, a common driver assist feature is automatic braking when you’re too close to another vehicle or object to avoid or lessen the collision. The vehicle has combined automated functions, like acceleration and steering, but the driver must remain engaged with the driving task and monitor the environment at all times. For example, adaptive cruise control can brake and accelerate, while lane assist briefly takes over steering to keep in a lane. The driver is a necessity and must be ready to take control of the vehicle with notice, but he or she is not required to monitor the environment. 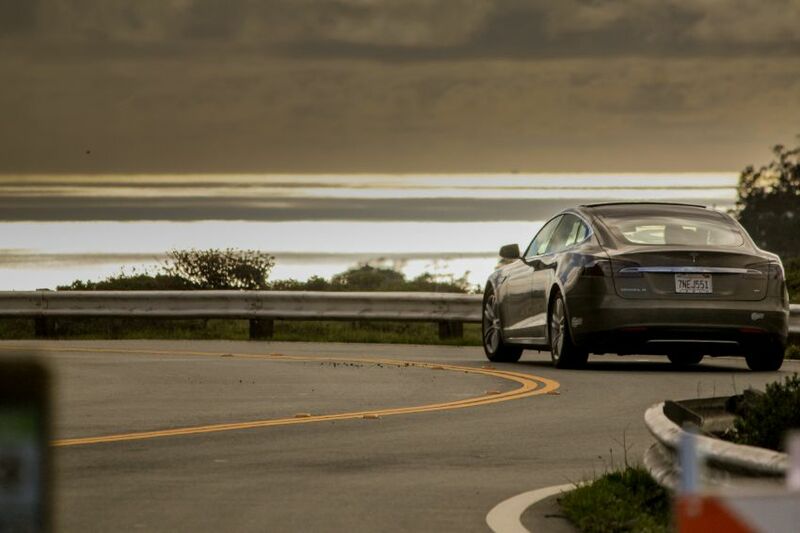 For example, Tesla’s AutoPilot enables drivers to relinquish control over the vehicle on most roads and highways, but they must keep their hands on the wheel in case a problem arises. The vehicle is capable of performing all driving functions under certain conditions, but the driver may have the option to control the vehicle. Currently, these vehicles are in development. They will enable completely hands-off driving, while notifying drivers when attention is needed. The vehicle is capable of performing all driving functions under all conditions, but the driver may have the option to control the vehicle. While these vehicles may be several years away, they promise to completely eliminate humans from the driving equation—in these vehicles, there will be no need for pedals or a steering wheel. Many autonomous vehicle developers have relied on machine learning and artificial intelligence. For example, Tesla’s vehicles generate a constant stream of data that helps improve its entire fleet’s ability to properly recognize lanes, signage, vehicles and other critical elements on the road. While these vehicles are designed to cope with existing infrastructure, the proper conditions could significantly improve the driver’s safety and experience. For example, the driver of a Level 4 vehicle may need to take control of a vehicle if it’s unable to navigate through construction zones. The proper infrastructure may also be necessary to reassure consumers of the safety of self-driving vehicles. According to Deloitte, nearly three-quarters of consumers are concerned that fully self-driving cars won’t be safe, while less than half (48%) would trust a self-driving car to drive for them. Download our autonomous vehicle preparedness worksheet. Level 1 vehicles don’t require any infrastructure investments since they don’t rely on any external factors other than the vehicle or object directly in front of them. Level 2 and 3 vehicles rely on external sensors, which makes clearly marked roads and signage extremely important. Cities should consider re-striping their roads on a regular basis to ensure lane markings are very clear. Since winter conditions can be challenging for autonomous vehicles, cities may eventually want to consider raised lane markings or other solutions to help vehicles distinguish between lanes. Signage is especially important for Level 3 autonomous vehicles. Cities should ensure that all signage is both visible and upright to avoid any confusion. In addition, clearly marked construction zones and other special situations will ensure that vehicles know how to respond to these environments. Finally, it’s important to keep all traffic signals, lighting, crosswalks and other electronic infrastructure well-maintained. After all, these vehicles are excellent at reacting to everyday occurrences, but unexpected interruptions (such as a dark signal) can create dangerous situations. Level 4 and 5 vehicles may eventually need more dramatic infrastructure changes, especially to maximize performance. Highways should consider dedicated lanes for autonomous vehicles to maximize safety and traffic flow. On city roads, traffic engineers may need to pay close attention to what routes are the most efficient, since autonomous vehicles may side-step traditional arteries for side streets in the interest of time. Smart city infrastructure could also become increasingly necessary to support these vehicles. For example, autonomous vehicles may interface with traffic intersections to determine optimal routes based on the signal timing, as well as to better prepare to stop or take action at an intersection. The Glance Smart City Supervisory System is well-equipped to support these evolving technologies with its open architecture. We also provide a number of solutions designed to ensure that traffic signals, crosswalks and other infrastructure are properly functioning at all times. Autonomous vehicles are becoming increasingly popular across the United States. As we progress from Level 1 to Level 5, it’s important to ensure that infrastructure is reliable so the vehicles’ sensors can utilize as accurate information as possible. The ultimate endgame, however, will likely be a smart city link that provides more reliable information directly to vehicles. If you’re interested in learning more about smart city solutions, contact us for a free consultation. And don’t forget to download our autonomous vehicle preparedness worksheet. Download this free worksheet to assess your preparedness for autonomous vehicles.